Link cloaking is a very important part of affiliate marketing. In a nutshell, link cloaking is a way to protect your affiliate commissions from being stolen. It’s not totally foolproof. Smart individuals who are well-educated about the matter can still figure out how to keep you from getting your commission. Most people won’t go that far, so cloaking your links will prevent most commission loss. How do people steal affiliate commissions? Have you ever hovered over a link and noticed that the link was an obvious affiliate link? Some people type in the parent domain instead of clicking the link as a way of making sure the owner of the site gets paid 100% for the sale. 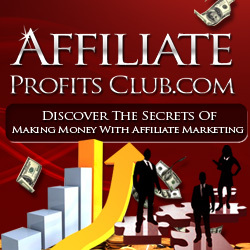 Some people falsely believe that if they buy from an affiliate link, they’ll have to pay more for a commission mark-up. Some people actually do it for a different reason. If you’re promoting a ClickBank product, especially to other marketers, many of them know they can insert their own ClickBank ID and get what’s usually a 50% or more discount on the product. This is a different type of affiliate commission theft, because the person doing it gets the affiliate commission themselves, rather than just making sure you don’t get it. Most people don’t do that, of course. Most people are pretty honest, and don’t mind giving you a little affiliate commission in exchange for recommending a good product to them. But it’s enough of a concern that you should take steps to prevent it. There are a number of link cloaking scripts available. Most of them are relatively easy to install and use. There’s a big benefit to using a script rather than doing it yourself. Using your simple redirect, there isn’t an easy way to check how much traffic you’ve sent to your link. Most link cloaking scripts allow you to add new links very easily within an administrative area, and then each link is tracked so that you can see how much traffic is going through the link. If you use your own file, the only way to tell how much traffic you’ve sent is through your affiliate stats, which may be inaccurate, or through your web server’s stats, which may be clunky to use or hard to understand. Another way you can do it is to use a link cloaking tool, such as Go Try This. This lets you enter the raw affiliate link and name your link whatever you want as an extension of your domain. Then you can log in and check stats to see how the top 10 links are performing using a diagram and bar graph.